A Cranbourne barrier trial will help blow the cobwebs out before Viddora flies to Perth for her defence of the Group One Winterbottom Stakes at Ascot. Viddora will step up her title defence of the Group One Winterbottom Stakes with a barrier trial at Cranbourne. Monday's trial over 4 3⁄4 f is set to be the mare's last piece of serious work before she flies out to Perth on Sunday for the Group One sprint on December 1. A first-up winner of the Moir Stakes at Moonee Valley in September, Viddora then finished 10th on a heavy track in The Everest at Randwick on October 13. 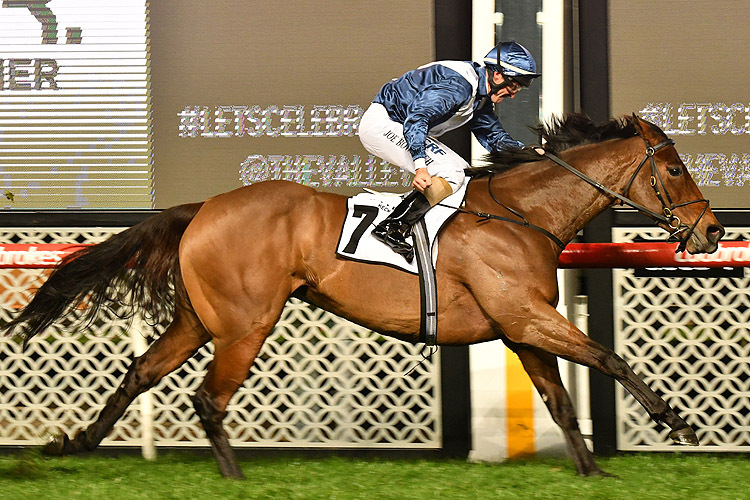 Trainer Lloyd Kennewell is looking forward to returning to Perth for the Winterbottom and racing on a firmer track in the west. "It was bottomless in The Everest, wetter than you could possibly imagine," Kennewell said. "Her wheels were spinning. She travelled good until she had to come off the bridle. "As he (Joe Bowditch) pushed her along, she just said no. "So the firm conditions are going to suit her and as long as all goes well from now until the race, all will be fine." After The Everest Viddora had some paddock time to freshen for the Perth trip with the trainer saying she benefited from the break. "She's starting to get a few dapples up with the way the weather is turning, which is good," Kennewell said. "She spent a bit of time at the farm at Merricks Station, had four or five days there, R and R.
"It's a beautiful spot. She really enjoys it there." Kennewell says Monday's trial will blow the cobwebs from Viddora and now that he is training at Caulfield it will cut down on extra float travel. Viddora was trained at Morphettville in Adelaide last year for her assault on the Winterbottom and had to travel to Melbourne before flying to Perth. "There'll be two less float trips for so that'll make life a bit easier," Kennewell said. "You've just got to hope everything goes right and if it does she should be right in the finish again."